Sharon Walsh has lived in Maryland since she was 6 years old and has lived in Howard County for over 24 years. Sharon graduated from the University of Maryland with degrees in both Architecture and Urban Planning. Sharon has worked as an Architect for over thirty years and received her Architectural license in 1987. 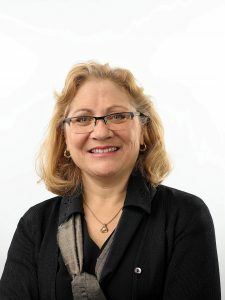 Throughout her career, she has worked for private Architectural firms in Baltimore City as well as Baltimore and Howard Counties. She recently accepted a position with the Howard County Government where she will be a Project Manager. Giving back to the community is important to Sharon; she has been involved with AIA Baltimore for over 15 years, helping to organize and participate in a variety of educational programs. She first began volunteering for Rebuilding Together over ten years ago when her husband Jim was a house captain. When Jim passed away in 2014, the CJC team that he led for many years was re-named the Jim Wash Rebuilding Team. Despite budget shortfalls at CJC, the Jim Walsh Rebuilding team has continued to participate in Rebuilding Day thanks to the strong leadership of Glenn Unger and Roz Zinner, a core of dedicated volunteers and Sharon’s fundraising efforts. Sharon is excited to be joining the RTHC board. In addition to raising three children, Sharon enjoys playing tennis, traveling, walking her dog, reading books and volunteering as an usher at the Hippodrome. She hopes to be able to utilize her skills and experience to help further the goals of Rebuilding Together. 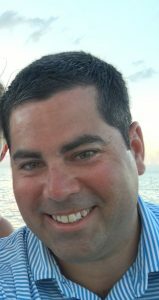 Adam Brinkman is originally from Cleveland, OH and has lived and worked in MD for the past 5 years. 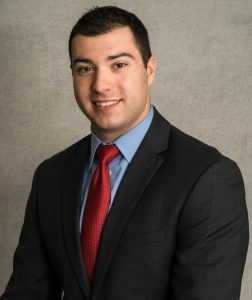 He joined M&T Bank by way of their Management Development Program, after playing football and graduating from the University of Rochester in 2012 with a degree in Economics. He spent three years in the Retail Banking Segment as a Branch Manager at two separate branches, both in Columbia. He earned the Business Excellence Award for his work with Small Businesses and partnering with the SBA on many occasions, in 2015. In late 2015, Adam transitioned to the Middle Market Group within M&T through the Relationship Management Sales Program. Since the program Adam has been promoted to Relationship Manager and oversees a portfolio of clients and prospects primarily focused in Central and Western MD. Adam has been a participant and fund raising captain to help support the efforts of the JDRF Walk (Type-1 diabetes), March of Dimes (Premature Birth Research), and Polar Plunge (Special Olympics MD). He has also been a part of the biennial Catholic Charity Dragon Boat fundraiser and race, in which his team has place 2nd and 3rd in the past two events. Adam has been a part of Rebuilding Together Howard County as a volunteer through M&T’s support of the organization for the past 4 years. He most recently acted as house captain, assisting a co-lead team of M&T and Hillmuth Automotive volunteers before joining the board this past spring. Adam is excited to add fresh energy and more Millennial minds to the RTHC board. Scott Cameron was born and raised in Severna Park, MD. He attended Hampden-Sydney college in Virginia and was a member of the lacrosse team. In 2002, he accepted a position as an estimator at his family’s insulation company and continues to operate as the president of Cameron Group LLC located in Elkridge, MD. Scott represents the 4th generation in his family’s 110-year history. Through his leadership, Cameron Group was recently named one of the nation’s fastest growing construction companies by Inc. 5,000. Giving back to the communities he works and serves has always been an important goal for Scott. He and his team have worked on many houses for Habitat for Humanity, Christmas in April and many other charitable organizations. The Cameron Group is looking forward to completing two projects with Rebuilding this fall. Scott is excited to be joining the RTHC board. He hopes his years of construction and project management experience will make an immediate impact. Scott currently lives in West Friendship, MD with his wife Lauren and daughter Anna. While he’s not working, you can find him mountain biking on the trails of Patapsco Park, Golfing at Cattail Creek or Volunteering with his wife and daughter at Day’s End Farm. Plus, Scott just signed up to repair 2 Ellicott City flood victim homes in October with 60 volunteers from his company, Cameron Group. He also just supplied us with new storage space for our building materials. As a new board member, he has hit the ground running!